In 2017, smartphones embedded with facial recognition drew much attention. In October of the same year, Tokyo International Airport began operation of facial recognition gates to meet the rapid increase in inbound tourists. 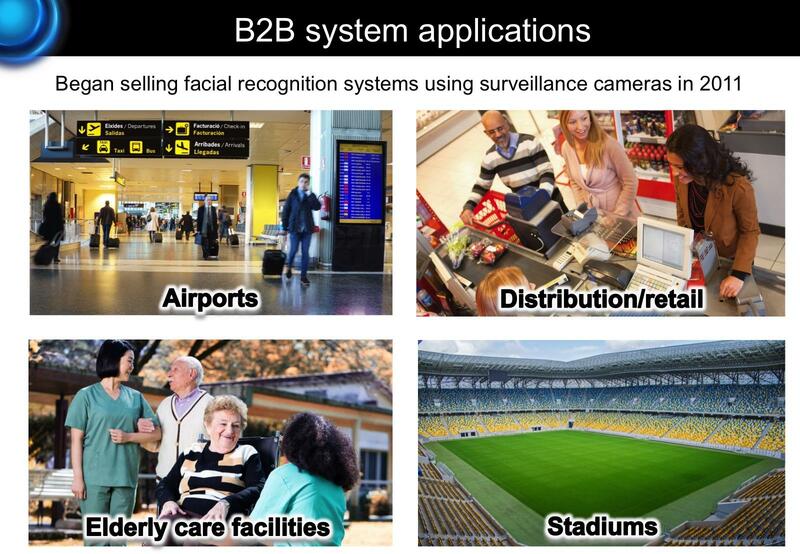 Facial recognition is becoming more and more of a staple in the security industry. Amid this environment, Panasonic has made it possible to recognize individuals facing diagonally or even wearing sunglasses. With the expansion of information networks and increasing crime, there is mounting concern for security in Japan. Panasonic has been developing facial recognition technologies for over 30 years, taken part in various demonstration trials, and ultimately delivered solutions to various government agencies and ministries. Moreover, the technology is now being applied to wider fields including consumer electronics and products and systems catering to enterprise use. With respect to facial recognition in the field of security, it is quite rare to find favorable photographing conditions, and in many cases, it is technologically difficult to recognize faces. Using a facial recognition engine powered by deep learning technology, Panasonic has significantly improved the recognition rate by extracting distinctive facial characteristics. Even when a part of an individual's face is hidden by sunglasses or a surgical mask, the face is turned 45 degrees, or a comparison is being made to an image taken 10 years ago (aging analysis), Panasonic has made it possible to verify and recognize individuals. 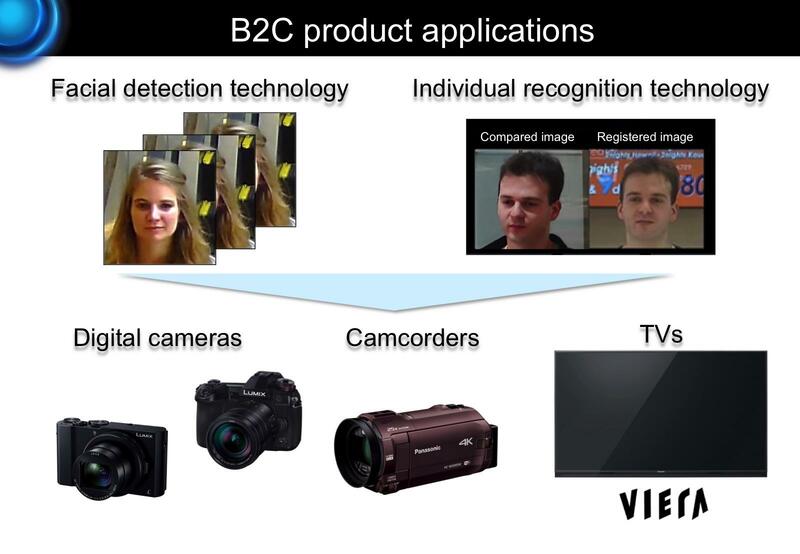 In addition to this facial recognition engine, the solution realizes highly accurate facial recognition integrating intelligent camera technology cultivated through the development of the "LUMIX" digital camera, which can automatically recognize various scenes and optimize camera settings, as well as image surveillance software. The facial recognition engine is powered by deep learning technology co-developed with the National University of Singapore. 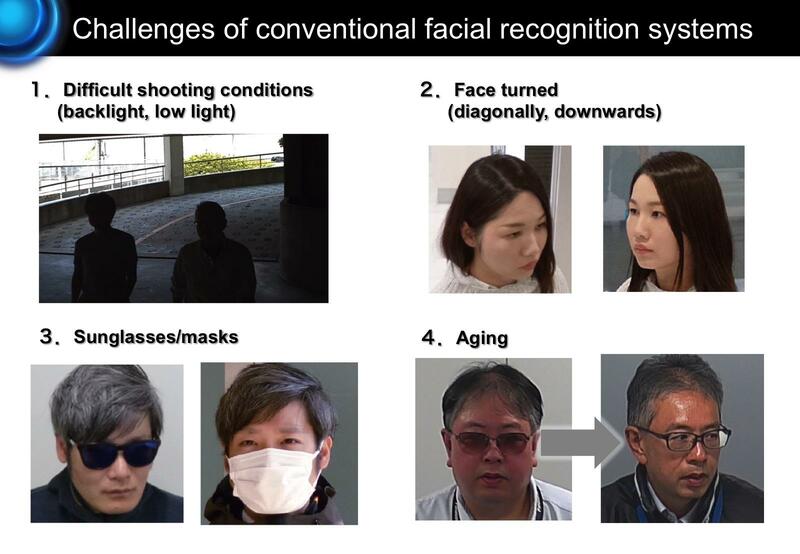 By merging multiple deep learning structures to compensate for frontal head position and angled head position, Panasonic has made it possible to overcome traditional challenges in facial recognition such as when a face is turned diagonally or downwards, when wearing sunglasses or a surgical mask, and when facial features change due to aging. As a result, the recognition rate has improved by up to 5 times. 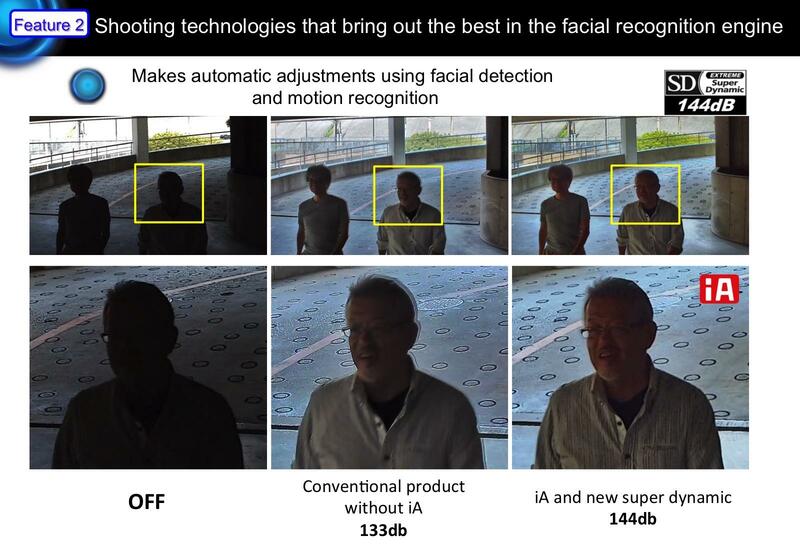 The camera's intelligent auto (iA) function automatically adjusts settings for the camera to shoot optimal images best suited for facial recognition even in difficult conditions such as in the presence of backlighting or low light. The iA mode is an application of the technologies cultivated through the development of the "LUMIX" digital camera, and can automatically detect various shooting conditions and optimize camera settings. 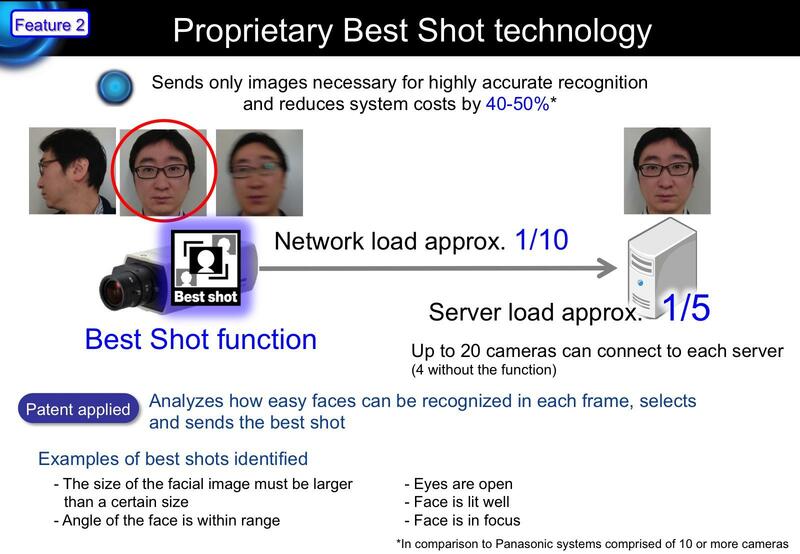 At the same time, with Panasonic's proprietary Best Shot technology, the camera will crop only the part of the image necessary for facial recognition and send it to the server. By handling part of the image analysis and processing, the camera decreases the server load to approximately 1/5, and network load to approximately 1/10. In comparison to conventional systems that do not utilize this function, the costs are nearly 40-50% lower. An important ability for surveillance and crime prevention systems is searching for individuals. 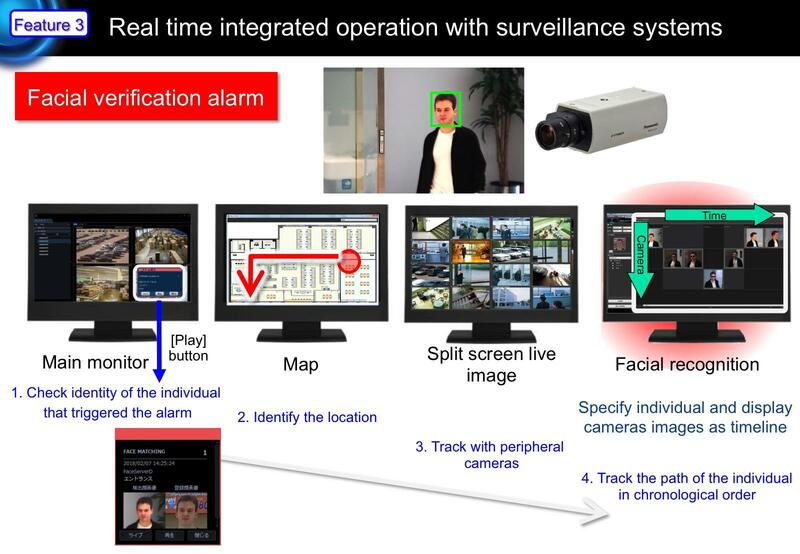 In this respect, this solution can search for an individual's facial image and track where the individual appeared, where he/she headed to, and where he/she is at the moment in chronological order on a single screen. The advantage of Panasonic's one-stop solution is that it includes cameras and the entire system and enables easy searches on the same screen as the image surveillance software. In the past, surveillance systems were used primarily for evidence or for post-confirmation, but a system like this that can detect in real time will help readily detect incidents and accidents, and may even help in preventing them from happening. The demand for and application of facial recognition are increasing from traditional fields such as crime prevention, crime investigation and access control, to marketing. 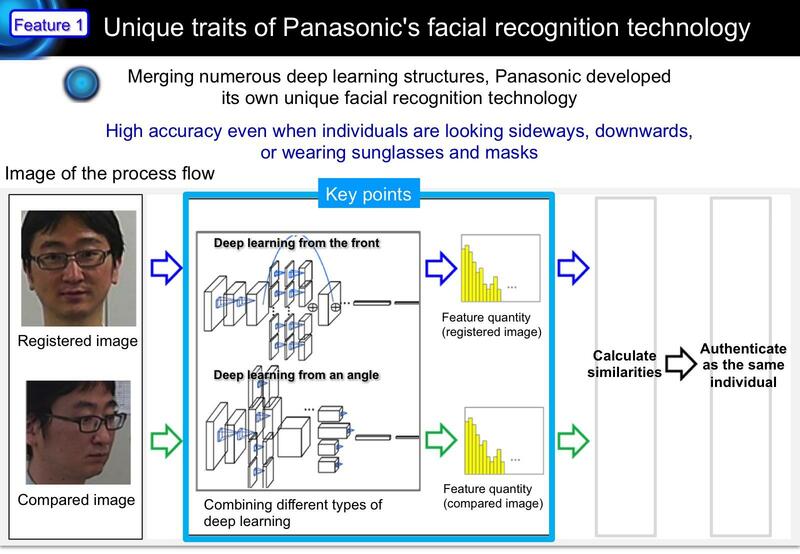 Panasonic will continue to combine its unique hardware and software technologies and further push the envelope to provide more solutions that are powered by facial recognition.